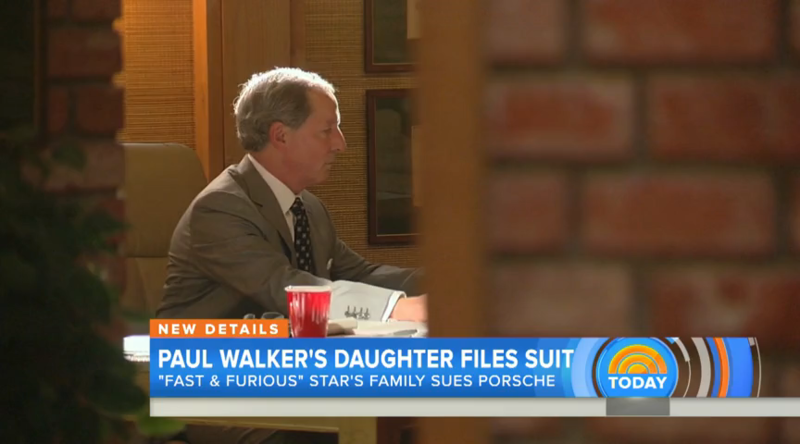 Meadow Walker, the 16-year-old daughter of late actor Paul Walker, is filing a lawsuit against Porsche for their role in her father’s death. Walker was killed in a tragic accident that occurred on November 30, 2013. His friend was driving a 2005 Carrera GT when he lost control, causing the vehicle to crash into a light pole and tree, catching on fire quickly after. Both Walker and his friend died in the incident. The lawsuit claims that the vehicle produced by Porsche had several defects that impacted the overall safety of the vehicle. As a result, the suit alleges these issues—including lack of stability control—resulted in Walker's death. This isn’t the first legal battle that the German sports car maker has run into with U.S. lawyers. In 1980, Attorney Craig McClellan represented the widow and two children of Donald Fresh, a passenger killed in yet another tragic accident involving a Porsche vehicle. Cynthia F. was driving a Porsche 930 Turbo—a vehicle notorious for its power and instability—with her boss, Fresh, in the passenger seat. While driving, she lost control of the vehicle and it swung into oncoming traffic. Fresh was killed in the collision. While Cynthia had been seen drinking earlier, Attorney McClellan was successful in demonstrating how the true fault rested in the inherently dangerous nature of Porsche’s vehicle for the untrained driver. Attorney McClellan won the case, securing a jury verdict of $2.5 million for his clients. Just a few years later, Attorney McClellan won another major wrongful death claim against Porsche in a case involving the 911 Turbo. He also secured a settlement of $4.5 million on behalf of the wife and parents of a man killed while riding as a passenger in a Porsche Carrera GT. While Porsche only paid a percentage of that settlement, it laid the foundation for future cases. “If an automaker knowingly does not use the technology it has available — something that may be standard on many other cars, especially when it relates to high performance vehicles — then that automaker should be liable in any injuries or deaths that occur due to this oversight,” Attorney McClellan commented. If Attorney McClellan’s success against major German automaker stands for anything, it shows that large manufacturers and companies like Porsche can be brought to justice. Thanks to Attorney McClellan’s aggressive legal action over the years, there is a precedent set in court in regards to their dangerous vehicles. This all bodes well for Meadow, who is fighting to recover justice on behalf of her father’s death.